Ellis Harper has an Arts and Crafts pedigree with a Modernist twist. The array of fixtures showcases Sea Gull's commitment to high style with robust construction and craftsmanship at an exceptional price. 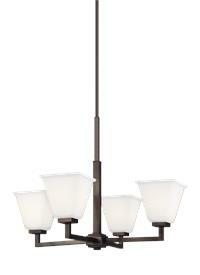 The subtle detail allows this transitional design to easily fit into any décor. 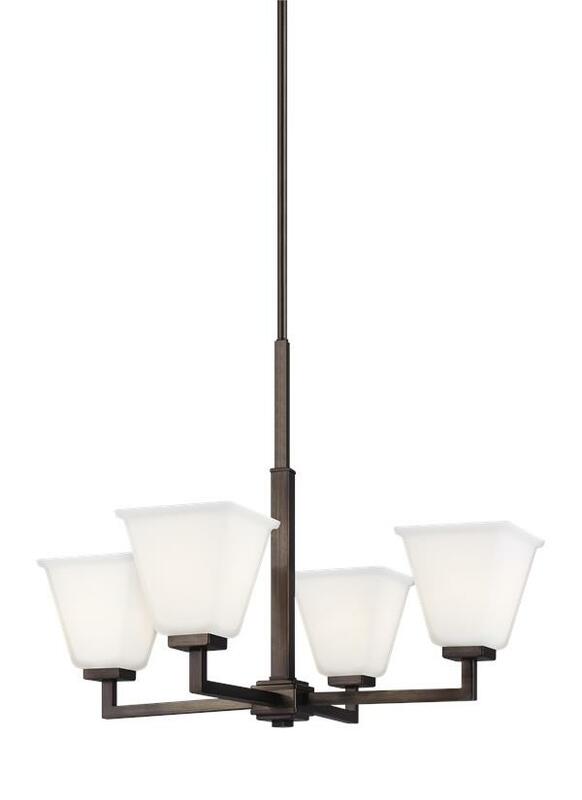 The sleek, geometric arms and square Satin Etched glass shades add touches of elegance to its streamlined profile. 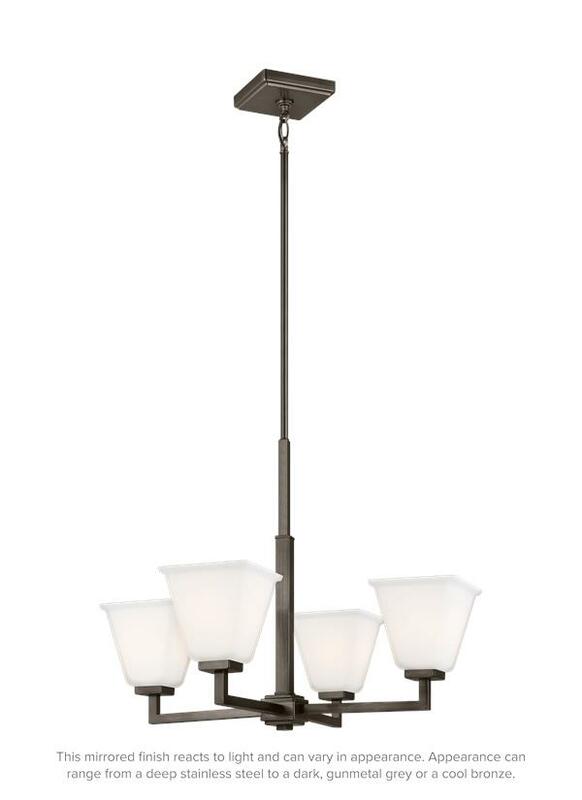 The assortment includes: four- and eight-light chandeliers, a six-light linear, one-light mini-pendant, and one-, two-, three- and four-light bath fixtures. 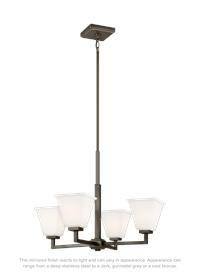 All fixtures are offered in either a Brushed Nickel or Brushed Oil Rubbed Bronze. 4 LED Medium A19 9.5w Max.